Hi everyone, I am back with another WOJ preview, this is 'Owl Be Thinking of You'. This cutie has been coloured with Copics, the papers are Pink Paislee 'Cottage Farms' and I had fun layering lots of these pretty papers! The key charm is WOJ's 'Baroque Keys' and the twine is WOJ's 'Button Twine'. I finished my card off with some die cut stars, flowers from Wild Orchid and Kaisercraft pearls. 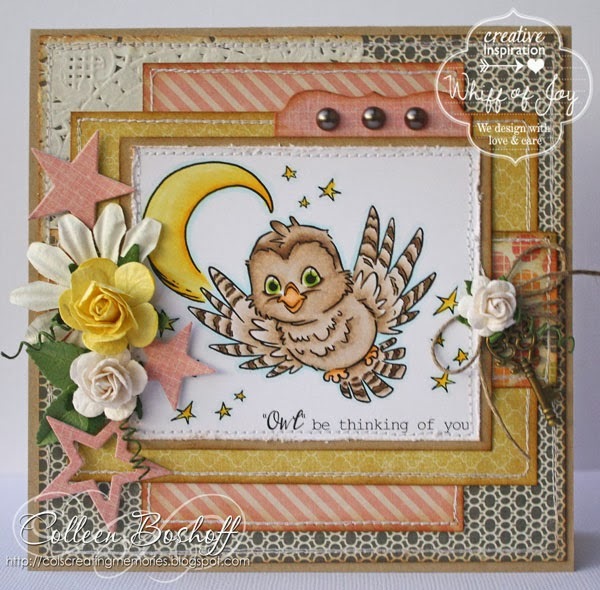 Don't forget the new release will be available on the 27th and come and join WOJ's blog hop too! Beautiful and so sweet. 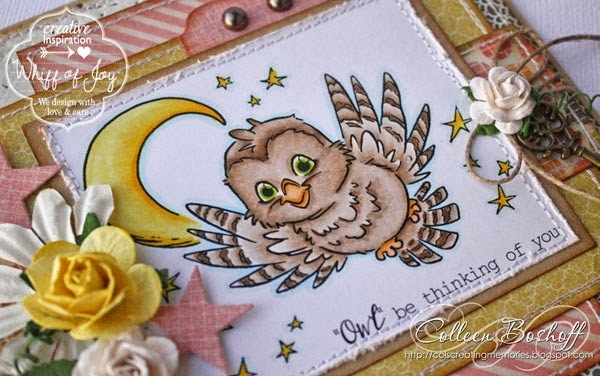 Wonderful colors and fabulous layout! Diese Eule ist ja echt süss und so toll in Szene gesetzt.